This incident involved damage to a high voltage underground electric cable during excavation works. Major projects at Sellafield are still "significantly delayed" and expected to overrun by nearly £1billion, according to a new report. A court case brought against Sellafield Ltd has come before a judge, after a worker was allegedly exposed to plutonium. Sellafield nuclear site has been charged over an incident where a worker was contaminated while handling nuclear materials. The incident at the west Cumbrian plant was investigated on 5 February 2017 by the Office for Nuclear Regulation. The prosecution is being brought by the ONR, and it is the first prosecution taken by the organisation since it was established in 2014. The case will go before magistrates in Workington. Sellafield Ltd have released this statement. The Office for Nuclear Regulation (ONR) has notified Sellafield Ltd of its intention to prosecute the company under Section 2 (1) of the Health and Safety at Work Act. This relates to an incident on 5th February 2017 in a facility for special nuclear materials on the Sellafield site, which resulted in personal contamination to one of our employees. For legal reasons we are unable to comment further on details of the case as it is now the subject of active court proceedings"
Firefighters at the Sellafield nuclear site will go on strike on Monday, as part of a long running dispute over pay. Sellafield will conduct an emergency exercise this evening after 7.30pm. Residents in west Cumbria are being warned that the site's siren could be activated and the sound of blank firearms might be heard. The exercise is designed to test Sellafield’s efficiency in the event of an emergency. Sellafield is being hit by another wave of industrial action today, with 3,000 GMB union members there on strike - for the third time. 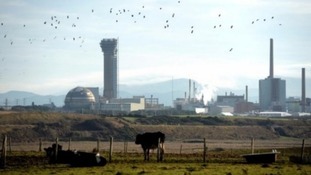 Firefighters at Sellafield say they will stage a third 12 hour strike later this week. They've rejected a pay offer which they say would have amounted to an increase of £4.30 a week. 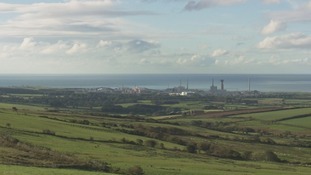 Sellafield has previously said it was a "reasonable offer" and was "disappointed" it was rejected. The strike, by members of the GMB union, is de to take place on Thursday from 6am to 6pm.